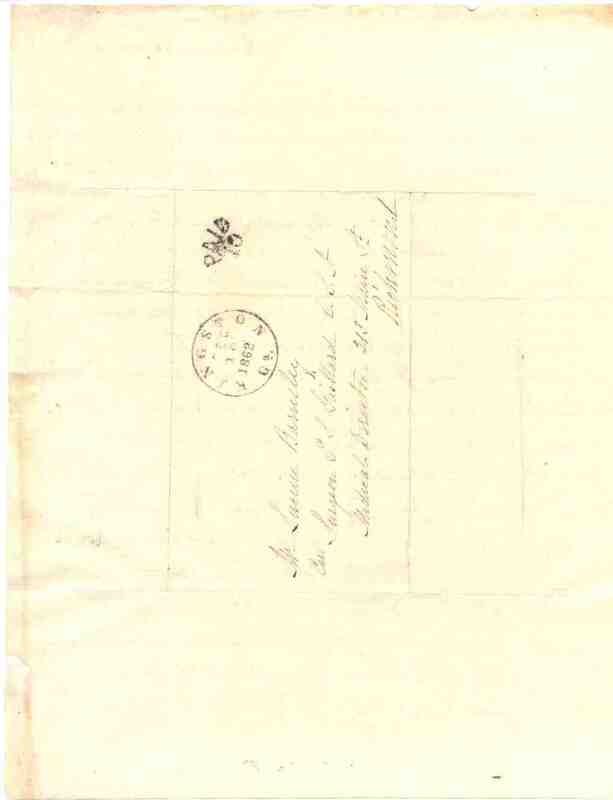 Item Description: Letter, 10 December 1862, from Godfrey Barnsley of Woodlands Plantation, Cass County, Georgia to his son, Lucien Barnsley in the office of Dr. Gaillard, Medical Director of the 2nd Corps, Army of the Potomac. 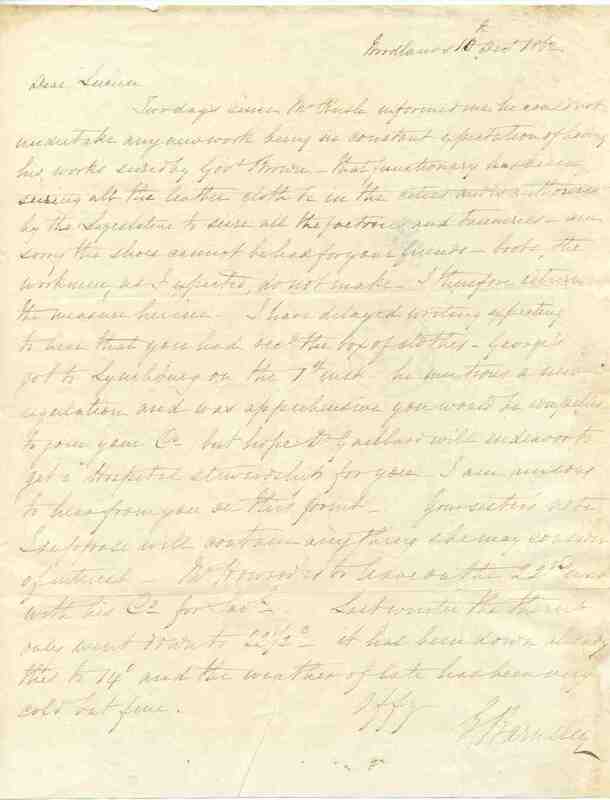 The letter discusses the possibility that Lucien may be required to join his Company and remarks on the Confederate government’s impressment of leather factories. Item Citation: From folder 8 of the George Scarborough Barnsley Papers #1521, Southern Historical Collection, Wilson Library, University of North Carolina at Chapel Hill. Two days since Mr Rush informed me he could not undertake any new work being in constant expectation of having his works seized by Gov Brown – that functionary has been seizing all the leather cloth be in the cities and is authorized by the Legislature to seize all the factories and tanneries – am sorry the shoes cannot be had for our friends – boots, the workmen, as I expected, do not make. I therefore return the measure herein. I have delayed writing expecting to hear that you had recd the box of clothes. George’s got to Lynchburg on the 1st inst – he mentions a new regulation and was apprehensive you would be compelled to join your Co, but hope Dr Gaillard will endeavor to get a Hospital stewardship for you. I am anxious to hear from you on this point. Your sister’s note I suppose will contain anything she may consider of interest. Mr Howard is to leave on the 22nd inst with his Co for Savh. Last winter the therm only went down to 22 1/2° – it has been down already this to 14° and the weather of late has been very cold but fine. Medical Director 213 Main St. This entry was posted in Southern Historical Collection and tagged George Scarborough Barnsley, Georgia, leather manufacturers, Richmond, surgeons, weather. Bookmark the permalink.